Fresh baby food is a great way to give your baby the healthy nutrients they need. Fruits and vegetables are important to development in a child's life. For babies and toddlers that are graduating to more solid fruits and veggies you may be hesitant about certain foods due to choking hazards. 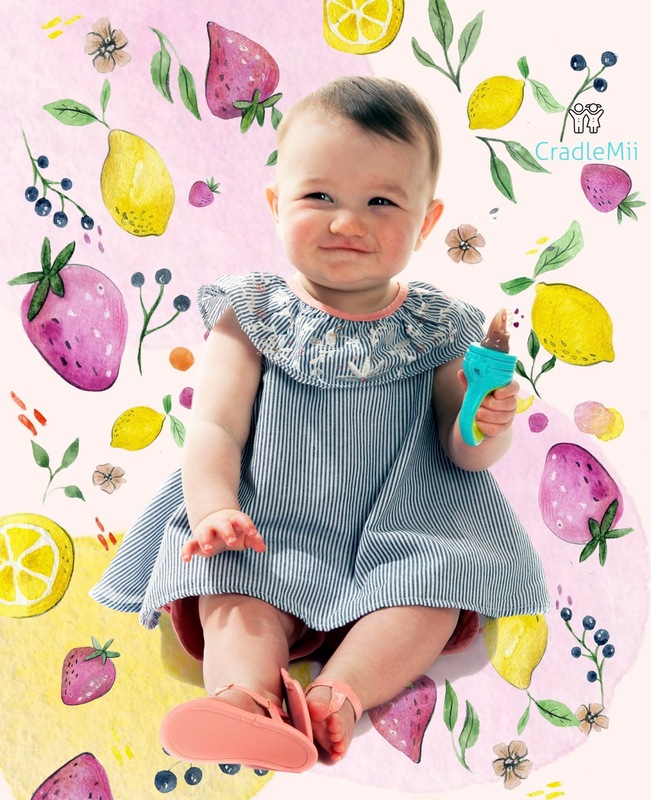 With the fresh baby food feeder by CradleMii you can safely provide your child fresh fruits and vegetables without having to worry about choking. 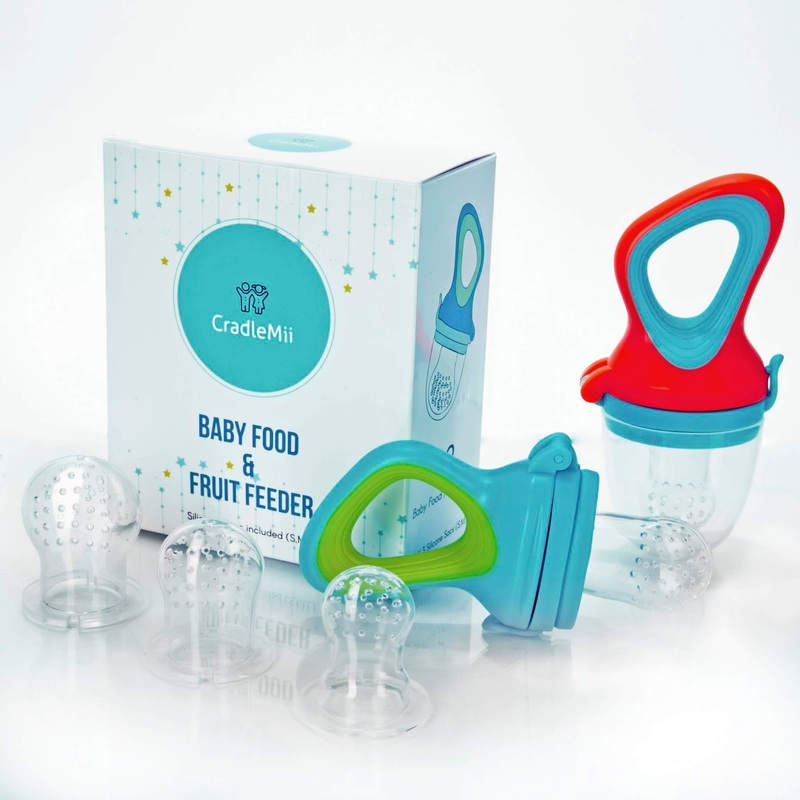 The CradleMii feeder set includes 2 baby pacifiers, as well as 2 sets of 3 different sized silicone sacks for your baby to hold and enjoy food safely. 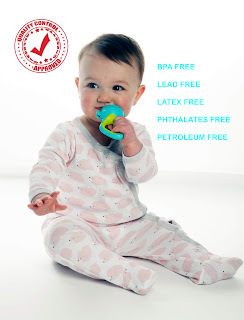 These pacifiers are also handy for little one's teething gums. The flexible and textured food grade silicone helps to massage and sooth sore gums. Some handy ideas for this would be frozen fruits and vegetables or even frozen yogurt. These food pacifiers are also designed for easy gripping with convenient ergonomic carrying handles. The CradleMii feeding pacifiers are BPA free, Phthalates free, Petroleum Free, and Latex free. They are also dishwasher safe for easy cleaning. Check out the CradleMii Baby Food and Fruit Feeder, available on Amazon!